A yummy recipe for a chilly fall morning! 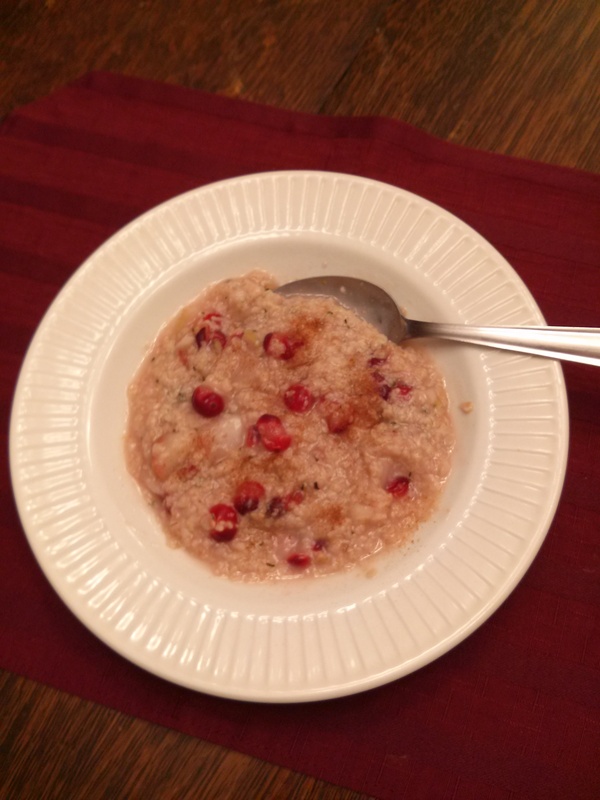 Simple and satisfying oatmeal with powerful anti-oxidant cranberries. Bring water to boil. Add cranberries and chopped apples. Cook for 2 minutes on medium. Add oatmeal and syrup. Cook for 5 minutes or until desired thickness.